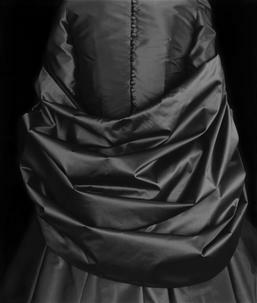 GROUP EXHIBITION: Savine's Dress featured in the group exhibition "ALLURE: Fotografien aus der Collection Susanne von Meiss" presented by C/O Berlin Foundation, Amerika Haus. For 25 years the Swiss journalist, publicist and entrepeneur Susanne von Meiss has been collecting photography with a the special focus on ALLURE from the 1920s to the present. Her personal collection includes Richard Avedon, Diane Arbus, René Burri, Henri Cartier-Bresson, Irving Penn, Richard Prince, and Juergen Teller among many others. A selection of 250 photographs from the Susanne von Meiss Collection will be presented to the public for the first time at C/O Berlin. Curated by Birgit Filzmaier and Felix Hoffman.